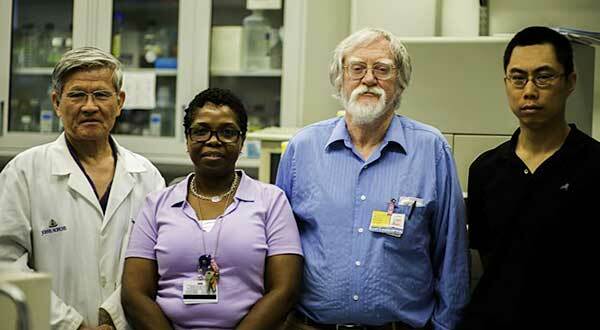 Profile: Dr. Gary Hayward, John Hopkins Univ. Home / Profile: Dr. Gary Hayward, John Hopkins Univ. 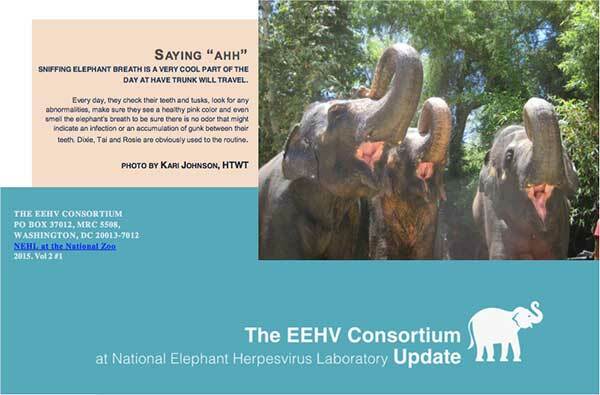 Interview reprinted courtesy of the National Elephant Herpesvirus Laboratory at Smithsonian’s National Zoo and the Smithsonian Conservation Biology Institute. Question: HOW DID YOU GET INVOLVED IN EEHV RESEARCH? I first developed an interest in viruses and DNA as a teenager, which led me to experiment with agarose gel electrophoresis for separating bacteriophage DNA molecules of different sizes for my PhD thesis research. I published the first restriction cleavage patterns of human herpes simplex virus genomes in 1975. 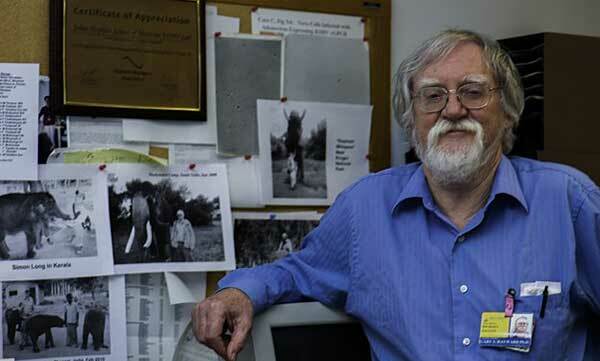 During a more than 45 year career in DNA research focused mostly on the molecular biology of the many different types of human herpesviruses, I always also had an interest in conservation issues as well as virus evolution and published the complete genome sequence of chimpanzee cytomegalovirus in 2004. Naturally then when Laura Richman first told me that she thought Kumari had died of a previously unknown herpesvirus infection I jumped at the chance to study the problem, including inviting her to come and do her PhD studies on EEHV in my laboratory at Johns Hopkins. Question: WHAT ARE YOUR ONGOING RESEARCH PROJECTS? Together with our close collaborators in Paul Ling’s group in Houston we have just assembled the complete 200,000-bp complete genome sequence of EEHV4, the fourth type of Asian elephant Proboscivirus and the first of the GC-rich branch to be so characterized. There has also been major progress in characterizing the most divergent genes from numerous distinct EEHV1 strains directly from pathological samples collected by a concerned consortium of veterinarians and our other collaborators from all around the world. We also keep hoping to get a breakthrough in our attempts to culture and propagate these viruses from clinical samples in laboratory cell culture, and we continue efforts to generate multiple clones for expressing enough antigens from each of the sequenced EEHV species in yeast to develop a robust multiplex serology chip assay that may finally overcome the major problems of antibody cross- reactions between them. Question: BIGGEST CHALLENGE FOR EEHV RESEARCH? Understanding why 20% of Asian elephant calves worldwide are susceptible to life-threatening acute hemorrhagic disease when undergoing primary infection with EEHV1 (or sometimes other EEHV types), whereas African elephants which harbor just as many types of EEHV species of their own hardly ever get disease. Other than our very successful virus hunting and diagnostic DNA tests that have identified clinical samples suitable for extensive genetic characterization there is little hope of significant further progress in understanding or combating this devastating disease without a major influx of new research funding. Whilst I still ran an active well-funded research laboratory studying human herpesvirus disease it was easy to borrow expertise and a little bit of time and effort from my postdoctoral fellows to clone and express EEHV genes, or carry out IFA and IHC assays or develop specific rabbit antibodies for example, but that is no longer the case, and the number of hands-on laboratory personnel involved have now dwindled down from five or six to just three and dropping. Furthermore, both Virginia Pearson (our collaborator on African elephant herpesvirus identification) and I have been working extensively essentially as unpaid volunteers for several years now. The International Elephant Foundation, the Morris Animal Foundation and a Collections Stewardship Leadership grant from the IMLS have contributed essential funding that has kept our EEHV research projects limping along, but my group will have to totally close down within a year or so without the kind of generous funding from a private donor that currently supports the EEHV research in Paul Ling’s laboratory at Baylor College of Medicine in Houston. Question: WHERE DO YOU SEE EEHV PREVENTION, DIAGNOSIS AND TREATMENT IN FIVE YEARS? No real change. There is at present virtually nothing known about the immunology of the elephant hosts themselves or of this novel new group of mammalian herpesviruses. Without cell culture and lots of funding, there is also really no realistic hope of vaccines within the near future, and it is only the ability to carry out close blood test DNA monitoring of calves and to respond to “viremic” illness with rapid good medical care that has improved the management of the disease in the USA in recent years. But it has been a major financial challenge just to keep the dedicated expertise necessary for this in Erin Latimer’s NEHL diagnostic laboratory, as well as in my molecular genetic strain subtyping group, together from one year to the next, let alone get serious about any more extensive efforts at finding better anti-EEHV drugs or exploring the mechanisms of EEHV pathogenesis.